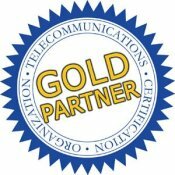 Teracom has built a huge reputation over twenty years as "best of breed" in telecommunications training and certifications. Understand fundamentals, technologies, jargon and buzzwords - and most importantly, the underlying ideas and how it all fits together. Teracom training and certification is an ideal way to prepare for a job in the telecommunications business, and consistently rated "excellent" for employee training and career development. Based on Teracom's proven training developed for organizations including AT&T, Verizon, Bell, Intel, Microsoft, Cisco, Qualcomm, CIA, NSA, IRS, FAA, US Army, Navy, Marines and Air Force. Take single courses or multi-course certification packages. - Certified Telecommunications Analyst (CTA). Unlimited Plan: guaranteed to pass if you're willing to learn! Instructor-led training, where you learn from a professional instructor in a small group in a conference facility, can interact with others and ask questions, is the best training you can get. Get a printed course book with detailed notes, be able to ask questions and network with fellow students. Free bonuses included: online courses and certification. High-quality DVDs with printed course books. "Excellent, one stop, de-facto resource not only for training but also for the reference library." - Tim Eggenberger, Quality Engineer, Adtran, Huntsville AL. Engaging and funny on-camera instructor with animated graphics and bullets. Like private lessons from the Director of the Institute! Free bonuses included. Telecom 101: Teracom's acclaimed instructor-led core training course Telecom, Datacom and Networking for Non‑Engineers course materials produced in a professionally-bound softcover textbook with a laminated cover.